Lotus Organic Agave syrup is produced from premium Blue Agave, a hardy plant that thrives in the volcanic soils of Southern Mexico. 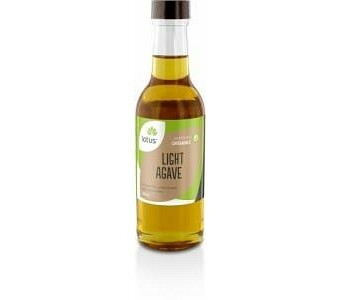 Unfiltered, light Agave syrup is considered to be rich in minerals, with a full caramel flavour. It has a very low GI, but is high in fructose (so is not suitable for those with a fructose intolerance). With fewer calories, agave sweetener is great for sweet-tooths who are watching their weight. Lotus Agave is also a suitable Vegan alternative to honey. It dissolves quickly so is suitable to sweeten hot or cold beverages.